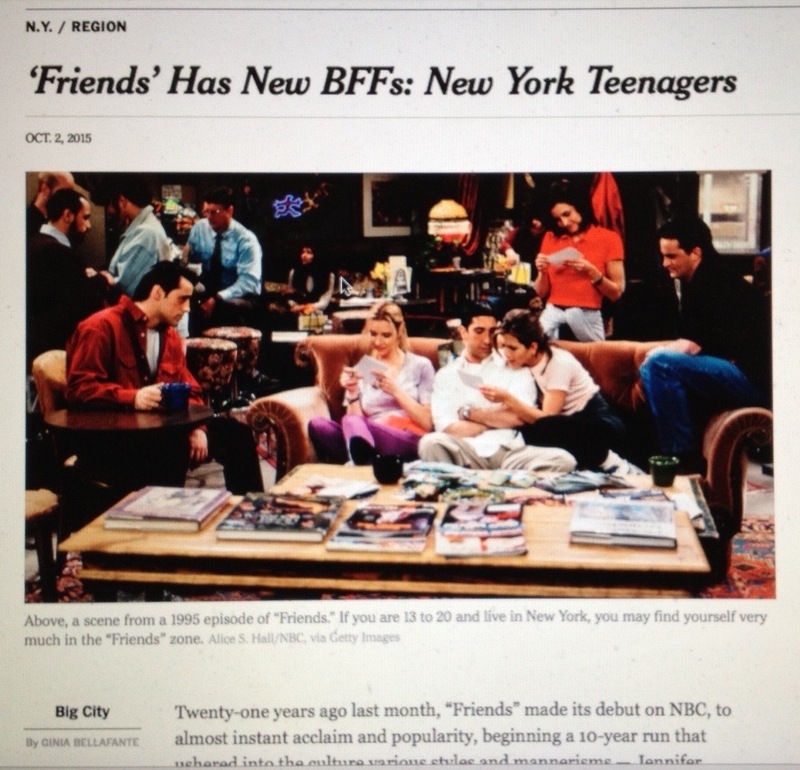 What’s novel about “Friends,” or what must seem so to a certain subset of New York teenagers of whom so much is expected, is the absence among the six central characters of any quality of corrosive ambition. The show refuses to take professional life or creative aspirations too seriously.
. . . The dreamscape dimension of “Friends” lies in the way schedules are freed up for fun and shenanigans and talking and rehashing, always. However, the young woman asked that her name not be used, lest she appear to be frivolous in the eyes of college admissions officers! It’s wholly understandable why these young strivers might welcome “Friends” as a break from the pressure cooker of jockeying for grades and acceptances from top colleges. But it’s sadly telling that they’re seeking such escapism in a sitcom. One senses the anticipation of an early midlife crisis, grounded in the revelation that the game of obsessive hoop jumping often leads to more of the same, while already yearning for some healthy downtime.